Is your company in need of a rebrand? Take a look at these three success stories on brands that got it right and changed for the better. The takeaway from each story may give you some insight on how to construct your own strategy! Old Spice has been a recognized men’s hygiene brand since 1938. Over the years, the brand had grown an association with an older demographic, much due to their name “Old Spice”. The deodorant became unfavored by the younger crowd, with the assumption that their products would make them smell like their grandpa. So what did they do to compete with other leading brands like Dove and Axe? Instead of changing their name or logo, they changed their messaging. In 2010, Old Spice aired a commercial during the Super Bowl that marked the turning point in their brand identity. The 30 second commercial featured Isaiah Mustafa, a famous face that was popular among a younger audience. Their new slogan was “smell like a man, man”, and took a campy, comedic approach on being the ultimate manly man. The commercial was such a hit that it went viral on the internet, and with the power of social media, Old Spice became relevant among a younger demographic. Old Spice continued to release commercials following the same formula to reinforce their new brand image, and has stayed relevant with their new, youthful following. Study your audience and deliver a message that they can connect with. Remember in the early to mid 90’s when Microsoft ruled the computer software industry and Apple was barely hanging on? It is a much different story today, and that is largely in part of the return of Steve Jobs and Apple’s rebrand that started back in 1998. 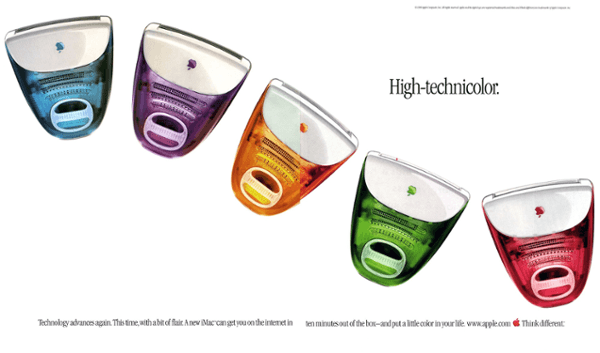 “High-technicolor.” “Chic, not geek.” “Sorry, no beige.” These are just a few of the iMac’s slogans that paired perfectly with a new look that the PC world had never seen before. Not only could you choose your own color for a personal touch, but your PC and monitor were now an all-in-one unit, which just made sense. Apple’s logo also got a makeover at this time to match their new product, ditching the rainbow look for a glassy, polished look. Their new tagline became “Think different”. With Steve Jobs leading the company, Apple stuck with their new look, featuring clean design and simplified messaging. They continued to create extremely innovative products, releasing the ipod, iphone, and ipad, while their competitors scrambled to keep up. Over the years, Apple has built a cult following, and has heightened themselves to be one of the most popular brands in the entire world. Innovation is key to placing yourself ahead of the pack. McDonalds has been a leader in the fast food industry for decades, however, their image hasn’t always been a positive one. In the early 2000’s, it was widely viewed as the most lowbrow and unhealthy fast food option out of the bunch. Many people even boycotted it, boasting a “too-good-for-McDonalds” attitude. The release of the popular documentary “Super Size Me” in 2004 played a large part of this problem, specifically exploiting McDonalds to prove the point that fast food is extremely bad for our health (Newsflash: It’s not just McDonalds). McDonalds paid attention to this stigma and took action in 2006. They reworked their menu to provide healthier and higher quality options to appeal to a health-conscious crowd. Salads, wraps, and “signature crafted” sandwiches made their debut among their traditional menu items. They also added a new focus on coffee beverages, giving them a chic edge that their competitors lacked. To top it all off, they completely reworked their buildings and interior design to more like a hipster’s favorite coffee spot and less like a cafeteria. 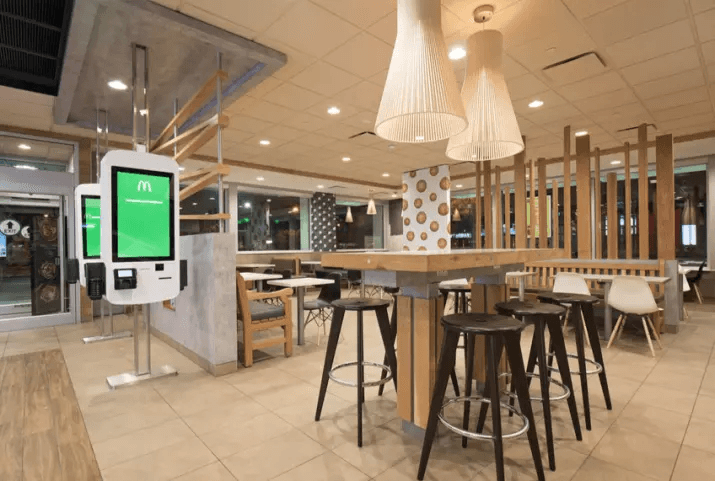 Their new image seems to be working, too—McDonald’s revenue has increased by 58% since their redesign. Be aware of your audience’s negative perceptions of you so you can make adjustments and change their opinion. Is your brand’s message making a connection with your audience? Is your product innovative? Are you facing any negative perceptions from the public that you need to overcome? Though not a complete list of questions to consider, these are all important things to think about if you are contemplating a rebrand for your business. Studying the successes (and failures) of history’s rebrands will help you make smarter decisions and avoid a fruitless outcome.